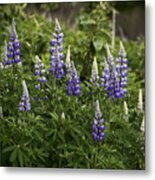 Queen duvet cover (88" x 88") featuring the image "Mountain Lupine" by Phyllis Taylor. Our soft microfiber duvet covers are hand sewn and include a hidden zipper for easy washing and assembly. Your selected image is printed on the top surface with a soft white surface underneath. All duvet covers are machine washable with cold water and a mild detergent. Cool looking flowers Phyllis. 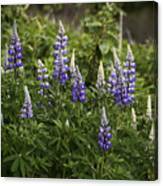 I like the depth of field and the dark corners really make the flowers stand out. 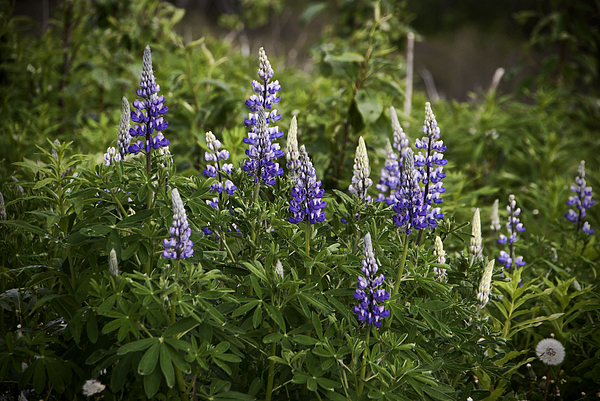 This lovely patch of mountain lupine was found on the hillside on the road to Seward, Alaska. 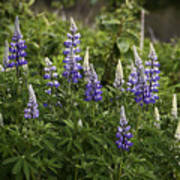 The beauty of the lupines covers hillsides, roadsides, and fields with a beautiful blue color in late springtime.